Days after Indian oil companies signed an agreement with Saudi Aramco for setting up the world's largest refinery complex at Nanar in Maharashtra's Ratnagiri, locals on Saturday started drummed up support from different political parties in a bid to stop the project. The Konkan Refinery Shetkari-Machhimar Sangharsh Samiti (KRSMSS) and the Refinery Virodhi Sangharsh Samiti (RVSS) have met political leaders across the political spectrum to solicit support for the agitation against the project. KRSMSS chief Bhai Samant and RVSS head Ashok Welam have called on Congress state President Ashok Chavan, Nationalist Congress Party President Sharad Pawar, Maharashtra Navnirman Sena President Raj Thackeray, besides meeting other leaders. The anti-Nanar groups got a major boost two days ago when Shiv Sena President Uddhav Thackeray and Maharashtra Swabhiman Party President Narayan Rane - both constituents of the ruling NDA - openly attacked the project. They also accused Chief Minister Devendra Fadnavis of "treachery" and "going back on his word" as the ruling Bharatiya Janata Party kept mum on the issue. Both Thackeray and Rane have made it clear that they would not permit the destructive project to come up under any circumstances, since the local people are against it. On his part, Pawar has announced plans to visit Nanar on May 10, meet the villagers who will be affected, assess the ground realities and the implications of the proposed mega-project on the people and environment. "The local people have given a very different picture than what the state government has claimed," Pawar told media persons on Saturday. Endorsing the villagers struggle, Chavan said: "Development should have a humane face. If the locals are opposing it, there is no question of implementing it." The protestors also secured the support of Raj Thackeray who gave them a sympathetic ear and promised to intervene. Meanwhile, political sources said Fadnavis has reported expressed apprehensions that if the project is opposed and not allowed to come up in Maharashtra, then it may be shifted to adjoining Gujarat. 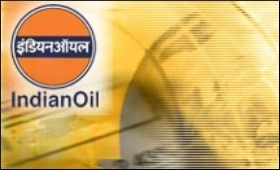 On April 11, a consortium comprising three major Indian oil marketing companies - IOCL, BPCL and HPCL signed a MoU with Saudi Arabian Oil Co, (Saudi Aramco), for setting up an integrated oil refinery and petroleum products complex in the eco-sensitive Ratnagiri. When completed, the Rs 3 trillion complex at Nanar will be the world's biggest single-location oil refinery project with a capacity to process 60 million tonnes annually.